Modern slim fit blazer yet not tight. Fully lined. Peak lapel in black silk satin and buttons covered with black satin. Light constructed shoulders with AMF stitch. Classic flap pockets with satin paspels. Two vents on back. Made of a cotton-mix in luxurious Italian fabrics from the finest mills in the Biella area. 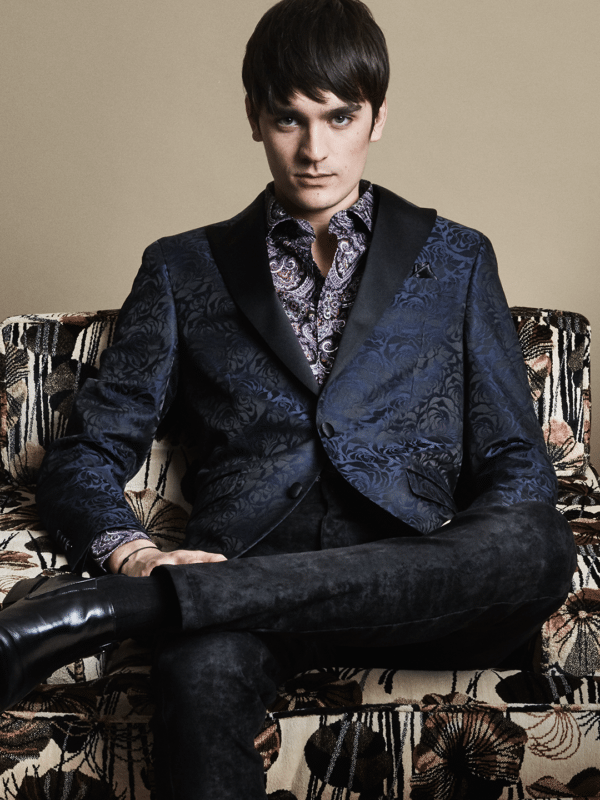 This blazer comes in a dark navy-blue with a fine floral jacquard pattern. Complete the look with classic tuxedo trousers or jeans for a smart look. Proudly manufactured in Europe. Model is 188cm and wears a size 48. Men's and women's luxury fashion. From Copenhagen to Los Angeles.